Creepy Pumpkin, Skellington,Frankenstein, and more will come walking through the door. On this Halloween night, you’re sure to have lots of fun. 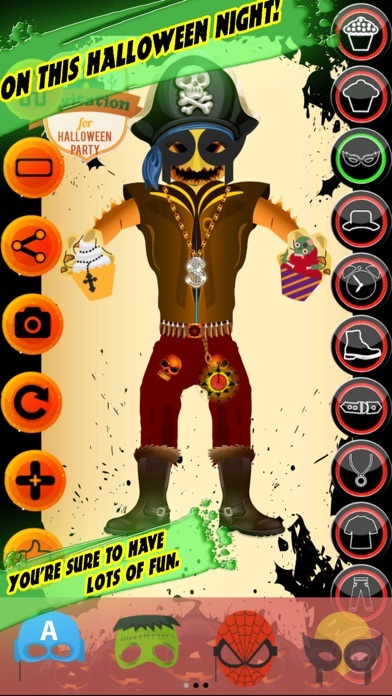 With lots of love and care for kids we made this Halloween dress up game. let trick or treat it has everything that your kids need. lets get ourselves dress up into the scariest yet most creative halloween costumes of this season. This game is unique and different from other dress up games. because it has pumpkin characters(LOL). 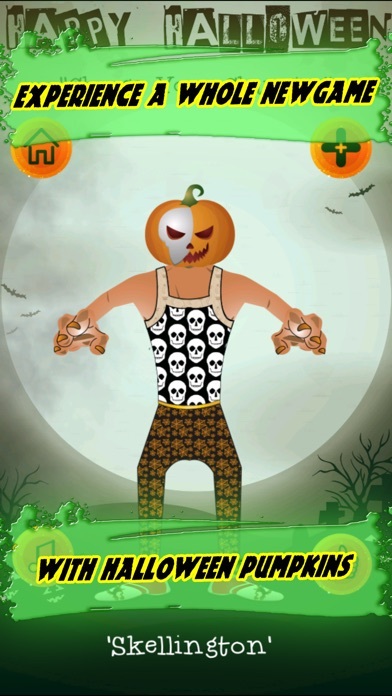 this is completely themed Halloween dress up game it is creative in a way that you can dress up the character and get some best creative ideas for your halloween season. we have themed it but not made it extremely scary just because we love kids. This game can be played by any ages but kids will love it. unlimited options to explore!choose from all kinds of shirts,pant,shoes ,hats, mask and many more! collectively themed background images suiting to different characters with costumes,change it as you want. after creating a customised halloween outfit,you can save a screenshot to the device’s photo album. well if that’s not enough, you can even share it with the social media. Character Lists: -PUMPKIN KING -SKELLINGTON -FRANKENSTEIN -DRACULA PUMPKIN -CREEPY PUMPKIN -MONSTRUS PUMPKIN costume lists: -shirts -pantaloon -masks -hats -belts -watches -chains -shoes -stickers Game Features: -This game is exclusively made for halloween season. -12 different types of themed background suiting to your desire. -different types of themed costumes for halloween. -6 different types of pumpkins. -Game designed for all ages no age limits. 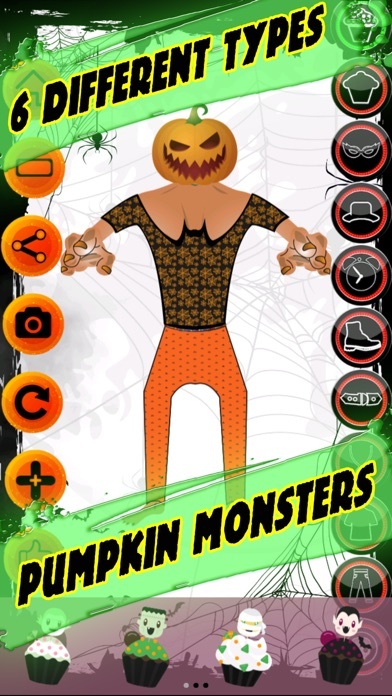 -different types of halloween night,trick or treat stickers. -facility to take screenshot and send to your friends. 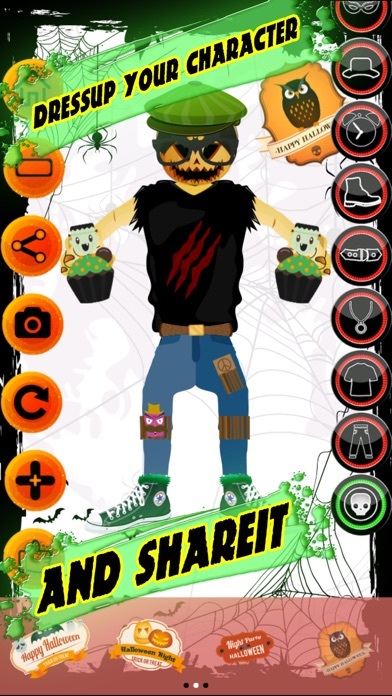 -above all this is COMPLETELY FREE HALLOWEEN GAME FOR YOU. 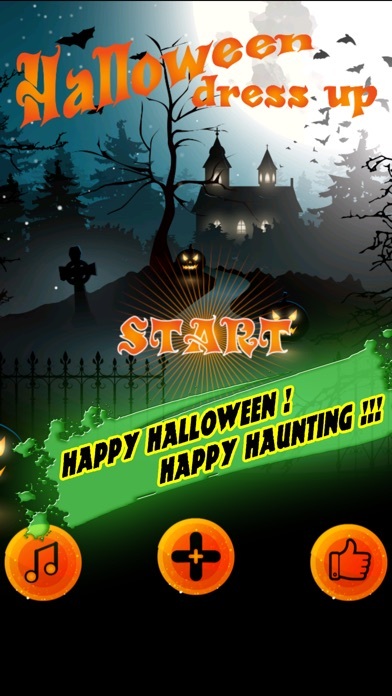 WISH YOU ALL HAPPY HALLOWEEN and please encourage us by giving some positive reviews,this will motivate us to make more good kids friendly games and apps for free. Thank You. Happy Haunting!